Coming in April, Frieze Sculpture at Rockefeller Center makes its debut, bringing a taste of Frieze New York—the annual international art fair on Randall's Island—to the heart of Midtown. In contrast to the monumental sculptures displayed each summer at Rock Center, this installation will feature pieces by 14 different artists throughout the complex, appearing in lobbies and other unexpected locations, as well as outdoors in front of 30 Rock. Curator Brett Littman, director of the Isamu Noguchi Foundation and Garden Museum in Long Island City, told Front & Center that he envisioned an "alternative sculpture park" in which "objects could be placed in interesting juxtapositions with already existing murals, bas-reliefs and sculptures on the Rockefeller Center site." For the visitor, he hopes to open up an opportunity to "re-explore the whole city" and see Rockefeller Center anew, as well as to encounter 21st-century sculpture (plus a few earlier pieces) in surprising ways, creating interactions "between the fabric of the contemporary world and the historical world." A guiding force is the stainless steel Noguchi bas-relief, News, a dynamic representation of the vitality of journalism, which has presided over the entrance to 50 Rock (once the Associated Press building) since 1940. Considering the politics of our times, Littman asks, "How much more relevant can that sculpture be in the world?" He says that for the Frieze show, he sought to honor Noguchi's engagement with the most critical issues of his day, as well as his emphasis on the way sculpture transformed the landscape. Littman made a point to choose artists who have never presented a public sculpture in New York before, and he strove to achieve global diversity. The results will be a wide-ranging but cohesive show, from Sarah Sze's abstract Split Stone (2018) to Pedro Reyes's totemic Jaguar and Seer (2018), to a 1974 bronze sculpture by Joan Miró, Porte II. As a commission for Frieze, Ghanaian artist Ibrahim Mahama is designing 50 patchwork jute flags to surround the Rink. 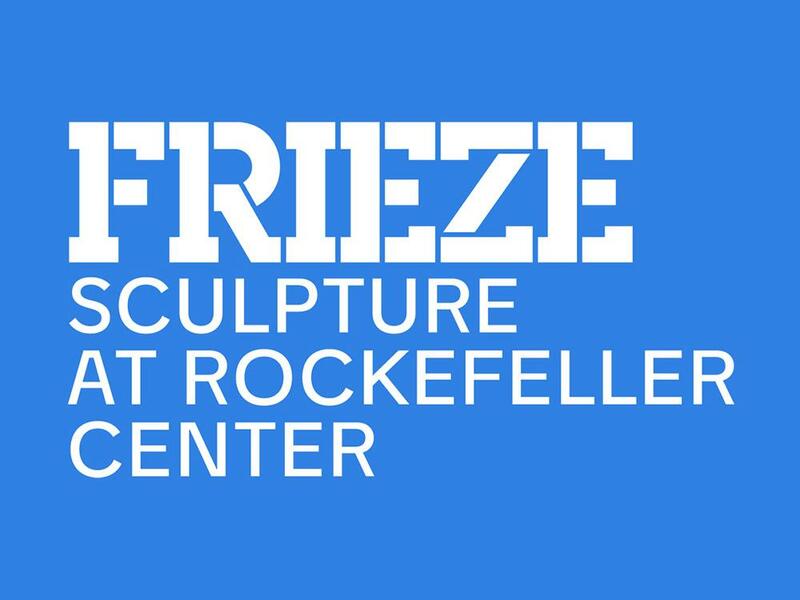 Frieze Sculpture at Rockefeller Center opens on April 25, ahead of Frieze New York in May, and runs through June 28. Maps will be available for taking walking tours of the exhibition, and Littman hopes to lead a tour or two himself. Stay tuned to the blog for more info.